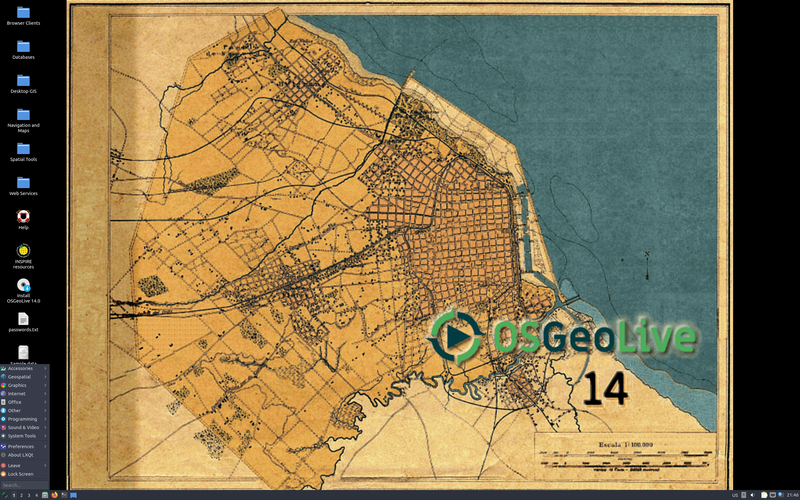 Rate this project Cameron Shorter has announced the release of OSGeoLive 12.0, a major new update of the project's specialist Lubuntu-based distribution featuring a large collection of open-source geospatial software and free world maps. This version updates the underlying operating system to Lubuntu 18.04: "Version 12.0 of the OSGeoLive GIS software collection has been released. It was distributed at the International Conference for Free and Open Source Software for Geospatial (FOSS4G) in Dar es Salaam, Tanzania. Highlights for this release include: updated to Lubuntu 18.04 long-term support (LTS) release; adopted Transifex Translation tool and made our documentation generation process more efficient; version updates to many of the included packages. OSGeoLive 12.0 includes: includes: close to 50 quality geospatial open-source applications installed and pre-configured; free world maps and sample datasets; project overview and step-by-step quick-start for each application; Lightning presentation of all applications, along with speaker’s script...." Read the rest of the release announcement for more information and related links. Download: osgeolive-12.0-amd64.iso (4,074MB, MD5, pkglist). Also available from OSDisc. OSGeo-Live is a live desktop distribution based on Lubuntu that allows the user to try a wide variety of open source geospatial software. 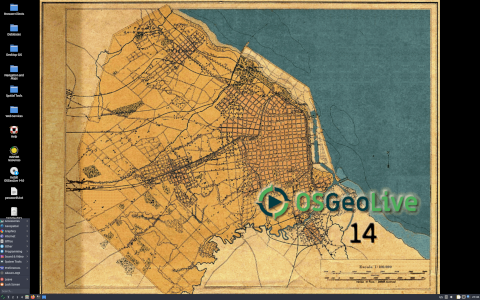 The project's latest release, OSGeo-Live 11.0, introduces several changes and strips out a number of default applications: "This release has been a major reboot, with a refocus on leading applications and emphasis on quality over quantity. Less mature parts of the projects have been dropped with a targeted focus placed on upgrading and improving documentation. Dropped: Windows-only applications/installers; Overviews of OGC Standards; Some applications that did not meet our review criteria; We now only support a 64-bit distribution (32-bit is built but not officially supported). Added: Support for isohybrid ISO images with UEFI." Additional information on the changes and a list of features in OSGeo-Live 11.0 can be found in the project's release announcement. Known issues can be found in the project's errata. Download (MD5): osgeo-live-11.0-amd64.iso (3,761MB, pkglist).